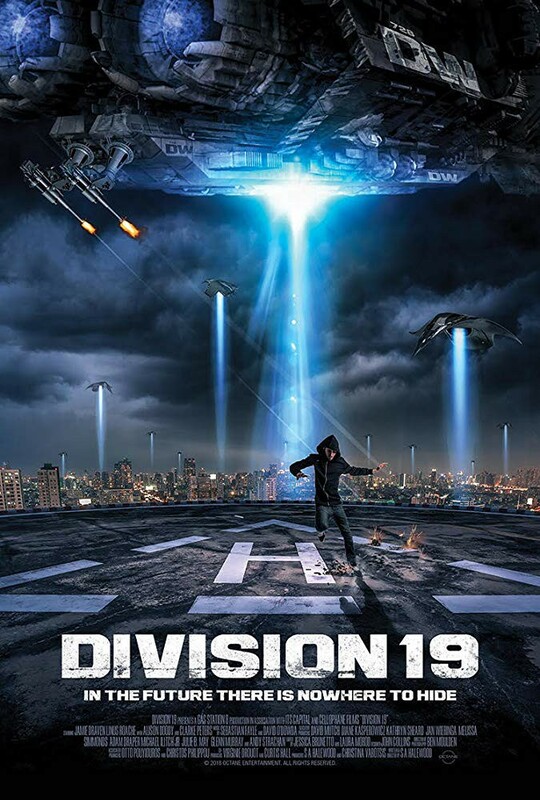 Ken here with an interview of Suzie Halewood, writer/director of DIVISION 19. 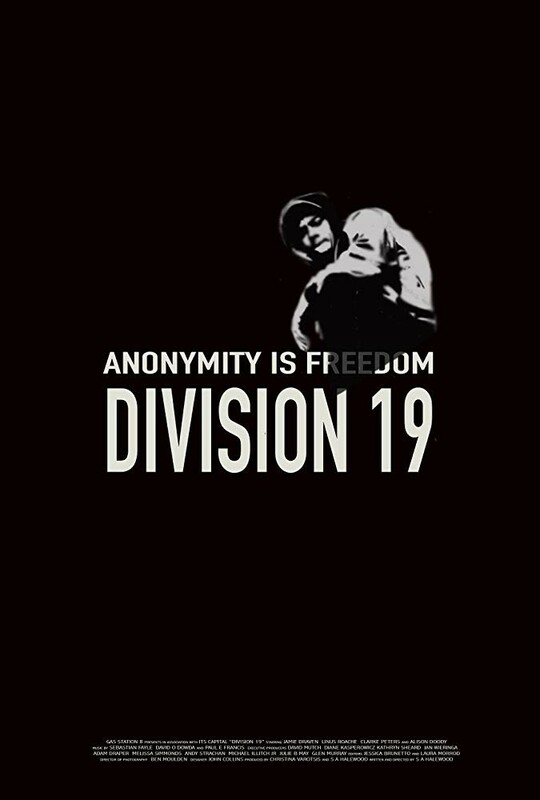 DIVISION 19 is a dark take on an impending future. One where prisoners are stars, depending on how many audience members tune in to their daily exploits. Hardin Jones (Jamie Draven) is the star of this future viewing, called Panopticon TV. And he just escaped. Literally everyone wants a piece of him. However this isn’t a MATRIX, action/manga creation. It’s more akin to BLADE RUNNER. Showing a distant future and explaining how we got there through the dialogue of all the players. If you want an action film, this has spurts of kinetic combat. In the end this is a thoughtful take on a troubling path we ‘humans’ seem to be headed down. Will Hardin escape and build a new life? Is that even possible in this future, where cameras, drones and insertions are everywhere? You’ll have to watch DIVISION 19 to find out. DIVISION 19 is available now. You can find it here. 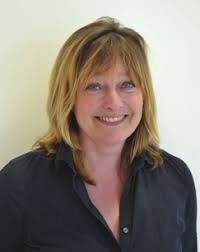 Suzie Halewood: Hi Fred. How are you doing? Freddy Beans: Fantastic. How are you doing today Suzie? FB: Suzie first off, thank you for allowing me to reschedule this interview (Family issue). I truly appreciate it and you for letting us reschedule. FB: (laughs) To start things today, can you please give us a brief synopsis of your film DIVISION 19? SH: It’s set in the year 2039, at a time when prisons are open to the public. Any subscriber can log in and watch what the prisoners do. What they eat? What they wear? Etc. It’s about one prisoner, Hardin Jones, who’s become the most famous felon. He’s escaped. We follow him as he tries to gain back his anonymity. This is in the future, where anonymity is illegal. The point of the film is questioning if this is where we’re headed. If we keep giving up our data, then eventually the state will have control. The two sides of the argument, if you like are Hardin, which is in jail and owned by the state. Then his brother, who tries to get him out of jail. The brother is opposed to the-state. He and his group are kids on the rooftops, hacking into banks, disrupting the power grid, and basically being a nuisance to the government. FB: What was your favorite aspect of this shoot? SH: I was telling a couple producer friends of mine. I like all of it. I like raising the money, creating the script, shooting it. The only bit I hate is the release. Shoots can be brutal. You can forget how much work is needed at the end of it. You think once you’ve finished, it’s over. Well it just doesn’t work like that. Whether it’s packaging, or how it’s seen. I find that piece a bit daunting but otherwise love all other aspects of film. I’ve been very lucky. You hear all these horror stories on different actors. I’ve never had any of that. I like to try and form a team, aimed at teamwork and have been lucky in that aspect. FB: That just makes the process better for everyone involved, right? FB: You sort of answered my next one already. What was the hardest aspect of this shoot? SH: The hardest part, I think, is in producing a film as well. We had a situation in Detroit, where I knew there was money coming in every week, yet it was an independently financed film. We had a fixed income coming from New England and waiting on the tax credits from Detroit. I had a point, where two producers said to me, ‘When’s the rest of the money coming in?” They just couldn’t believe you would make a film like that. You tend do that in independent films, you just jump. There are much bigger films that have gotten stalled and haven’t gotten the money. There are movies that didn’t get made because they’re waiting for next week, when the money comes in and it’s just bonkers. You can’t do that. You leap without a parachute. FB: It’s a common issue with independent movies. I like your take. You can sit on the sidelines forever, or you can jump in and see what happens. FB: (laughs) Yep, you can’t worry about if there’s water underneath you, just jump. Ya never know. You might land just fine. FB: I love that. You never know, unless you jump. It’s really that simple. You wrote DIVISION 19, along with directing it. For me it felt very reminiscent of BLADE RUNNER, or a RUNNING MAN with a bit of THE HUNGER GAMES tilt. What inspired you to make DIVISION 19? SH: I wrote DIVISION 19 probably 15-20 years ago. I kept changing it as things would come up. Data mining. Installing chips in humans. Some people see the film and say, “Well, it’s not a work of staggering genius.” I’ve always looked at it like an experiment. Every character in this film represents an element of the future that I believe we’re headed for. Nielson (Alison Doody) is data warehousing. Hardin (Jamie Draven) represents the everyman, forced into a box. Nash (Will Rothaar) and Barca (Toby Hemingway) represent the new direction of people that can actually make a difference but are reasonable enough not to be anarchists. They are saying, “We don’t’ want to own the world. 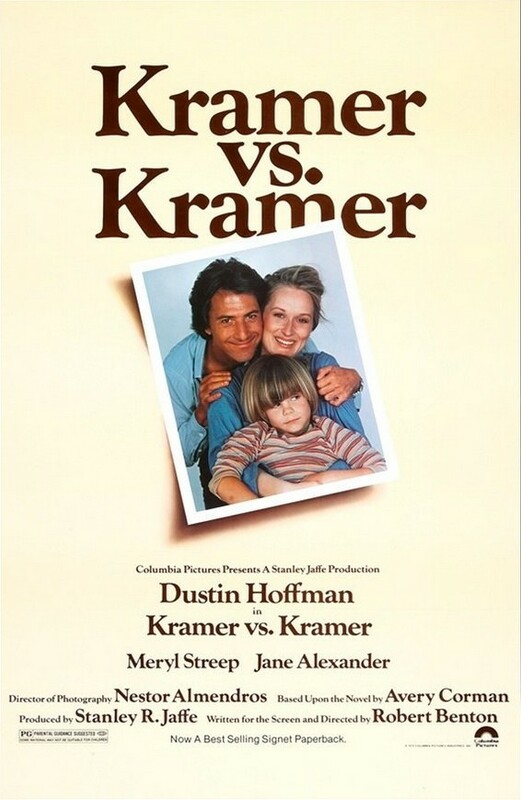 We just want it to be better and it can be.” I didn’t’ want to make KRAMER VS KRAMER. I had a bunch of Ideas I put together that I found interesting. FB: You never want to make art for others. It has to come from the heart. Something you’re feeling. If you’re doing it for others, then that’s letting others steer your course and I think it comes off inauthentic, which is worse than failing at something you believe in. SH: The two films I absolutely loved that deal with a similar subject matter are BLADE RUNNER and MOON. MOON is incredibly moving. And BLADE RUNNER is an intelligent, distant, cold, take on the future. I think one of the reasons it wasn’t appreciated as much as it should have been when it came out, was its lack of heart. I feel it more than made up for that with its brilliance. Where’s the heart in a movie like DELIVERANCE. I mean, it’s not warm and cuddly. It’s still brilliant. FB: I love your comparison to BLADE RUNNER. That might be the closest ideas at play for your film DIVISION 19. SH: When I got to Detroit originally, I didn’t know anyone there. It just so happened, that Ryan Gosling was just finishing a film. The crew from his film was around, which was great. I work on smaller films. Scott was there and nice enough to do some of the VFX. It’s just so expensive. Then I found these young guys that worked in side professions in New York. They were great. They were recommended by Paul Brook’s and they did a phenomenal job. Not cheap, just phenomenal. What inspired you to start writing and what age? Also, did you always want to parlay it into eventually directing or did you just fall into it? SH: Not to make it a male/female thing but a lot of the male director’s I knew, got in through commercials. At that time, it was a very male dominated industry. I started writing and pitched an idea to Paul Brook’s and he liked it. They ended up buying ONE MORE KISS and Gerry Butler (300, GAMER) starred. It was 2000 and Gerard was a big name at the time. I just carried on writing scripts. 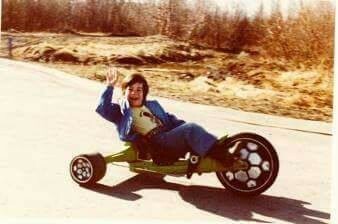 Most of them got bought but it was only small money in the U.K. You couldn’t live off of it. I figured the next one I’d be the one filming something I care about. 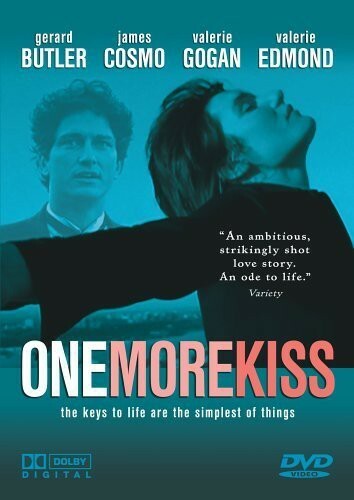 They did a great job with ONE MORE KISS, Vadim Jean did great and Gerry was also great in it. I just wanted to make sure I directed my next one, which was a little film based on a Russian novel called ‘Bigga than Ben.’ It’s about a couple of Russian’s who come to London to rip it off. They wrote a guide on how to rip off cities. Which is brilliant, because no one has written a travel guide on ripping off cities yet, have they? Their plan was to write a guide for each city they visited and on how to rip them off. They only got as far as London and realized it didn’t really work. I made that film and I just loved doing it. Ben Barnes (WESTWORLD) played the lead in that one. He’s gone on to be in THE PUNISHER. . One thing I now realize doing science fiction is the VFX takes so much longer. I really didn’t have any experience from my other three films. The VFX can cause a reshoot because it can change the composition of a scene or the feel. It created a lot of issues I didn’t expect. Not every movie can be BLADE RUNNER. What I personally loved about that movie was all the discussion and the scenes without special effects. I felt like that’s what DIVISION 19 would be like. FB: Badly done special effects can take your audience completely out of a film. 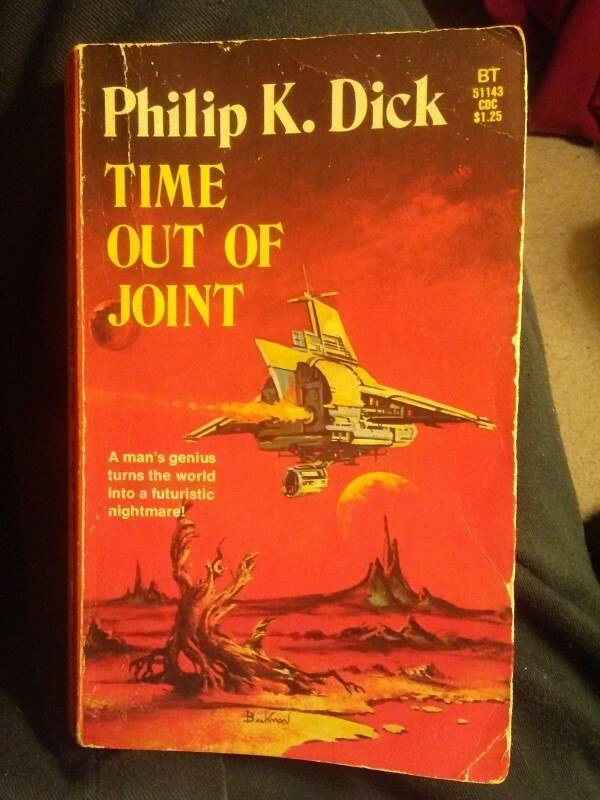 If you can recommend one sci-fi movie or book, what would they be and why? FB: (laughs) The two movies aren’t even really close, besides filmed in a dark dystopian future with robots or technology ruling the world. Nowadays, everyone gets a voice. Like any artist, you just have to keep honing your craft and working to satisfy your soul devoid of the chatter. 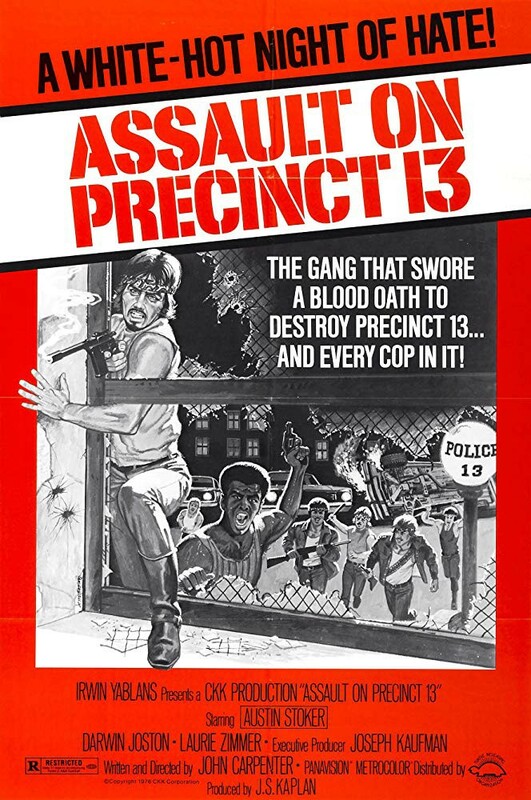 SH: I loved ASSAULT ON PRECINCT 13, the original. It’s made like a novelty film but it’s not a novelty film. FB: I usually get the typical HALLOWEEN or EXORCIST response. I love yours. John Carpenter was the master at one point in history, for me. SH: When you watched DIVISION 19 was it confusing? FB: No, it made absolute sense to me. If I had any critical feedback it would be that it slowed down in the middle and bogged down a little bit. It was very clear what was going on however. It felt very ominous in ways. You can see we’re headed, as a people, in some of these extreme directions. SH: There are some people that don’t even try to figure out what’s going on. One of the hardest things though to do in film is pacing. You get so used to the story and think well this makes sense. 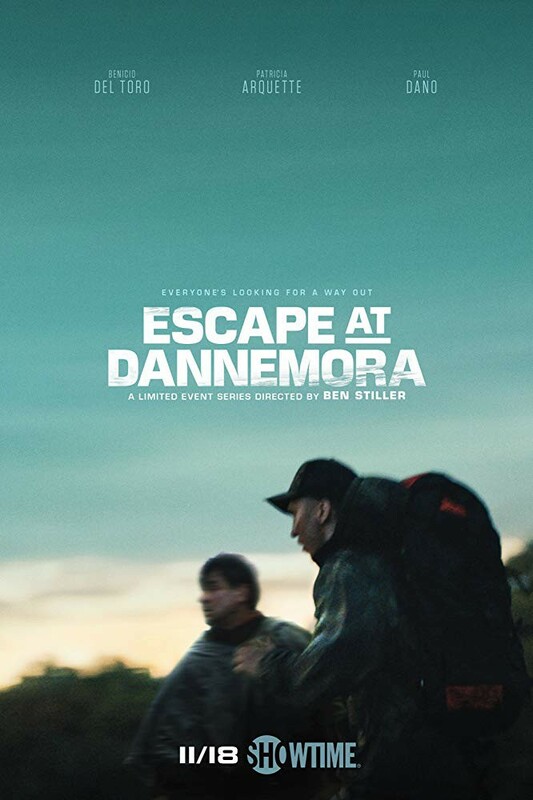 I just got done watching a film called ESCAPE AT DANNEMORA starring Benicio Del Toro, Patricia Arquette, and was written by Ben Stiller. It’s brilliant but it’s slow. I wouldn’t be surprised if some people give up. I just love the silence in it. FB: I am the same way. I like to use the movie SPIDER or MACHINIST as a slow moving movie that is absolutely worth the wait. They’re basically mystery movies where everything is answered perfectly at the end. All the loose ends are tied into a realistic and fascinating quilt. Once it ends, you want to watch it all over again just to make it all fit, now that you have the final pieces in place. SH: Yes. 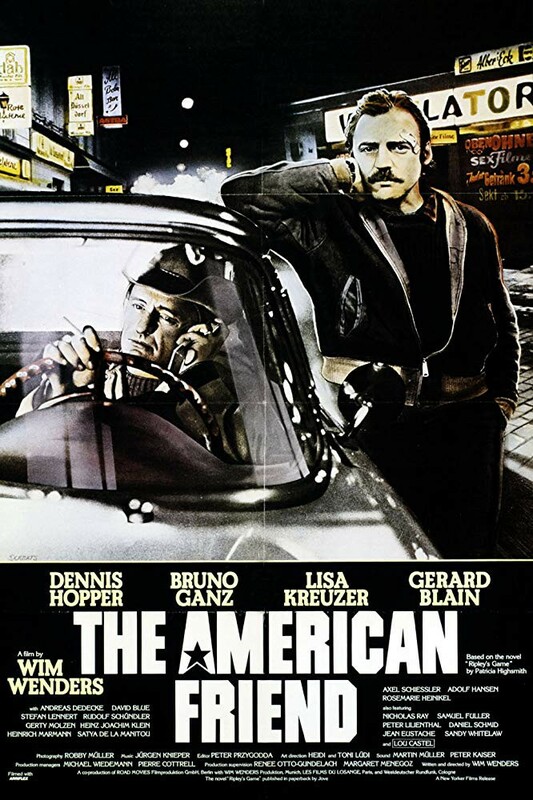 I love THE AMERICAN FRIEND, which is really a love story. I love that film and I’m not sure why I love it. I should probably sit down and critique it. FB: it’s just like any art piece right? I don’t’ have to necessarily know what something is but it’s drawing my eye and I’m looking into someone’s head with this thing. Movies are simply art to me. What can our readers look out for, from you next? SH: Well, I’m going to do something absolutely different. My next project will be a comedy set in Gaza. It’s a true story, without judging anybody, shot like a comedy in Gaza. FB: I love your range. It’s invigorating. That sounds really interesting already. SH: I really want to write and film it in Gaza. I have a friend, a really great writer who loved it so much he’s doing a rewrite now. Now, I need to figure out how to pitch a comedy set in Gaza. FB: Well, if you can sell that, you can sell anything right? Thank you so much for your time today, Suzie. SH: Thank you for the interview, I really appreciate it. FB: You got it. Good luck Suzie!